Mindfulness is gaining popularity as a way to help handle the stress of work and be more present in what’s going on in the present. But how do you build and maintain a mindfulness practice? That was the subject of the recent Next Generation of Government Training Summit workshop where Sarah Marbach, a Business Strategy and Communication Manager with Aetna, shared to hands-on mindfulness practices and taught best practices to stay committed. 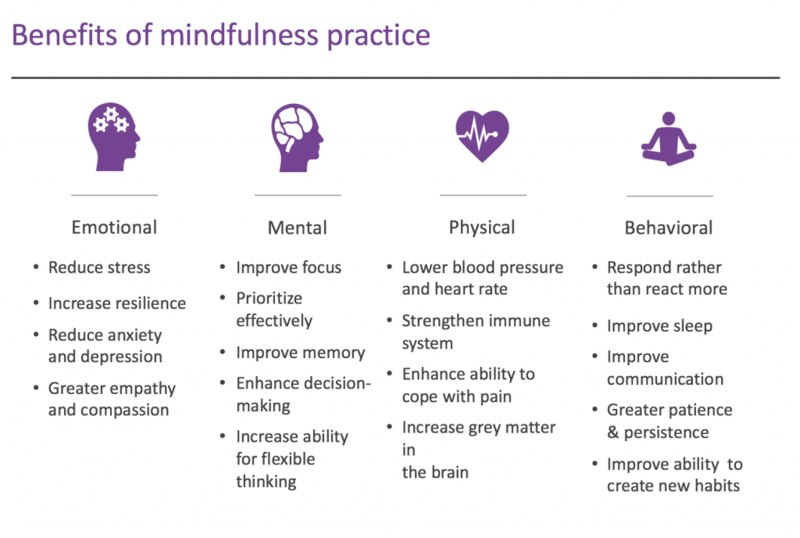 So what does mindfulness even mean, and how can it impact your work and your leadership style? Mindfulness is a concept of being purposely present and aware, Marbach explained. In today’s workplace environment, it’s tempting to multitask and over stimulate yourself, but taking a few moments each day to be truly present is incredibly important for keeping your mental and physical health in check. As for mindful leadership, that means engaging in your work and your team, skillfully and in the moment. Mindfulness can help you prioritize personal well-being and transform the workplace culture around you, one interaction at a time. Practicing mindfulness doesn’t need to be difficult at all, Marbach said. There are formal ways to practice mindfulness, like meditation, yoga, or body scans. But informal ways of practicing mindfulness are just as useful. Those include noticing sensations while showering; driving in silence and noticing the road, traffic, sights and sounds; noticing taste, smell, color, and texture of food while eating; paying attention to your surroundings while walking to a meeting; or merely listening with curiosity in conversations. Try a mindful minute. At the start of your meetings, ask your colleagues to take one minute to clear and refresh the mind. Listen with curiosity. Notice when your mind is closed to hearing the other’s perspective. Get up and stretch. Re-energize the body and give the brain a break every 20-minutes or so. Minimize distractions. Turn off certain alerts and notifications. Reduce multitasking. Do one thing at a time as often as you can throughout the day. Perfect resource for Mindful Monday! This was a cool session.